Life can be hard if you’re diagnosed with a long-term condition, there’s a lot of information to take in and it can be really confusing at times. 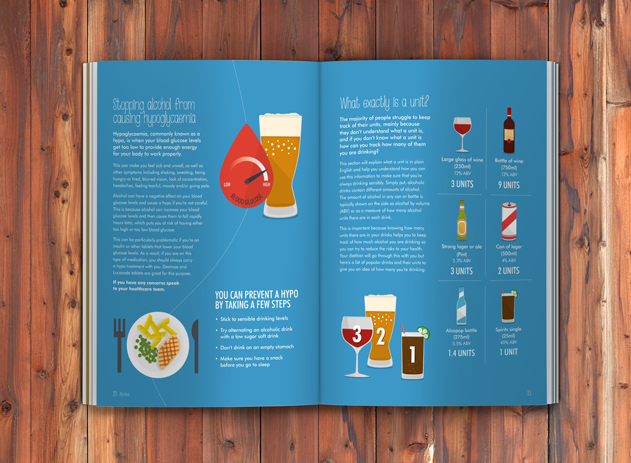 Making all this information more appealing, friendly and easy to understand can make a huge difference in helping people get to grips with their condition and stay feeling better for longer. 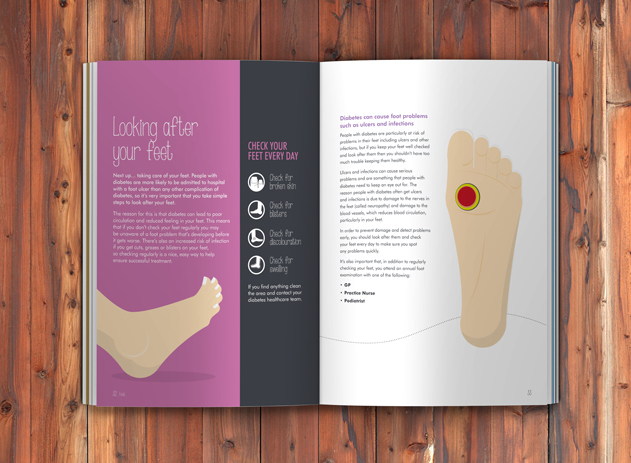 We were commissioned by Liverpool City Council to create a series of information packs to help people with long term conditions understand their situation and manage their condition more effectively. 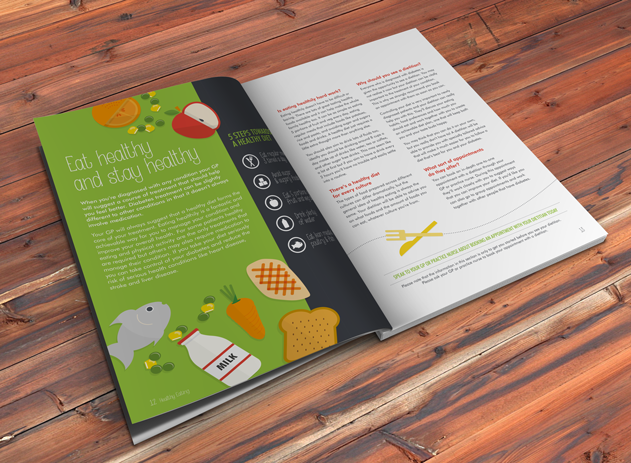 The first pack we created for this was designed for newly diagnosed diabetes patients and features a leaflet, a booklet and a folder, which will house a series of inserts we’ll be producing over the coming months. The pack boasts a large number of bespoke illustrations which we created in house. These illustrations were created working closely with Liverpool City Council and patients themselves in order to develop something that would resonate with our audience. The same attention to detail was also applied when we crafted the right tone of voice, which is informative, relaxed and friendly. All of this was tested with our audience before launch. 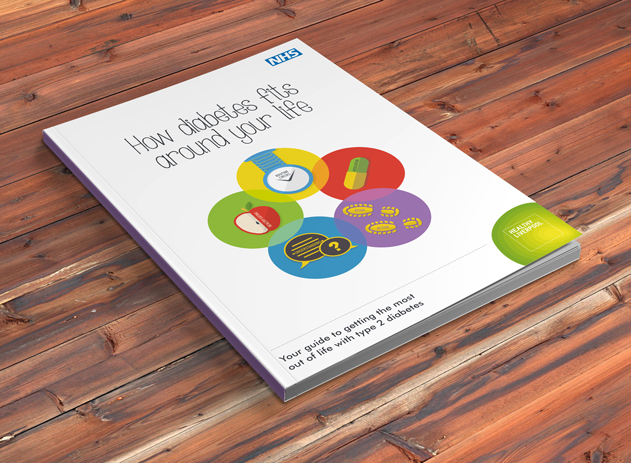 This all culminates in the launch of an easy to digest and informative pack that we believe will help newly diagnosed patients to manage their condition confidently and continue to live as normal a life as is possible with diabetes.